As we did a couple of reviews on Martin guitars, you surely know what to expect. 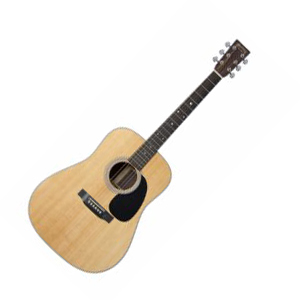 The D-28 is a masterpiece where the guitar itself with its unique design that is observed as the classic American design, is its own selling point. To start off, it’s important to mention that all of the parts that complete this guitar, are Martin’s own brand. 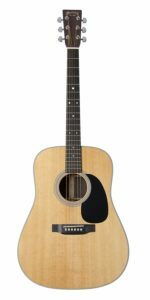 While the D-28 has been selling since 1930, you can be assured enough to know what it has come to during all these years, and what kind of high-end guitar are we talking about. Personally, I think that the most eye-catching feature of the parts is the ebony fingerboard. However, even though you can find this in way more cheaper guitars, you know that this will have better quality, a higher density which differs it from them. While the back and sides are made of East Indian rosewood, mahogany is a far more popular material to be used in such areas. Although, you may find the parts a bit unusual, what makes this guitar really special is its construction. Without a doubt, the craftsmanship that has gone into this D-28 is definitely flawless. From the neck joint to the binding around the body, to the fingerboard and neck construction, it’s all perfect. During our research, we found out that back in the 30s, there was a two-year waiting list for a D-28, now because of how quality it is, the D-28 is designated as one of the Martin’s most Playability Enhanced models, which means it has been constrained to their Plek processing. If you’re unfamiliar with the feature, well, actually this is actually a great piece of tech, since it browses the guitar’s neck, and dresses the ferts according to the neck tension and imitates the guitar being played, to create the guitar around the playing experience. Considering this, it gives Martin a much swifter fret dressing process and will give them constant quality across the range. 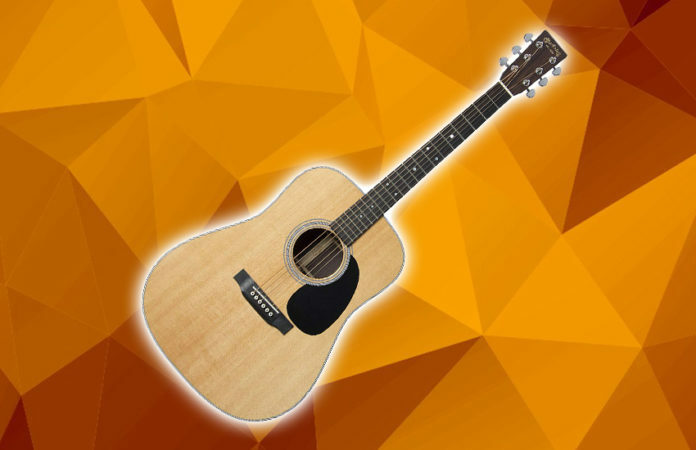 In terms of tonality, well, if you think of every acoustic guitar sound that’s ever sent a shiver down your spine, roll it into one, and that’ll what you can expect from the D-28. What’s really special about the tone that makes it different from the other guitars, for me personally, I think it’s the balance of sound. When it comes to physical play this guitar, you will really enjoy it, mostly due to the ebony fingerboard. I don’t know if it’s just me, or other guitarists as well, but I personally prefer ebony fingerboards, because the balance between the ebony and the action on the strings is just excellent. Moreover, you definitely won’t find any discomfort in playing this guitar up or down the neck. It has a pretty effective Plek system, while there’s no catching or sharpness at all. If you combine that playability with the remarkable perfection of its tone, then this guitar is as perfect as it can get.